I love a little project and after being challenged to create some artist-inspired nails recently I thought it would be fun to set myself another challenge. This time I chose the theme myself and decided on iconic album covers. The best album art is just that, art, and I wanted to see if I could translate some of it into nail art. I didn't want to recreate the album covers onto my nails directly, but take inspiration to create fun (and possibly wearable!) designs. The most simple design of the bunch, this mani has taken the main colours from Blur's Best Of album. 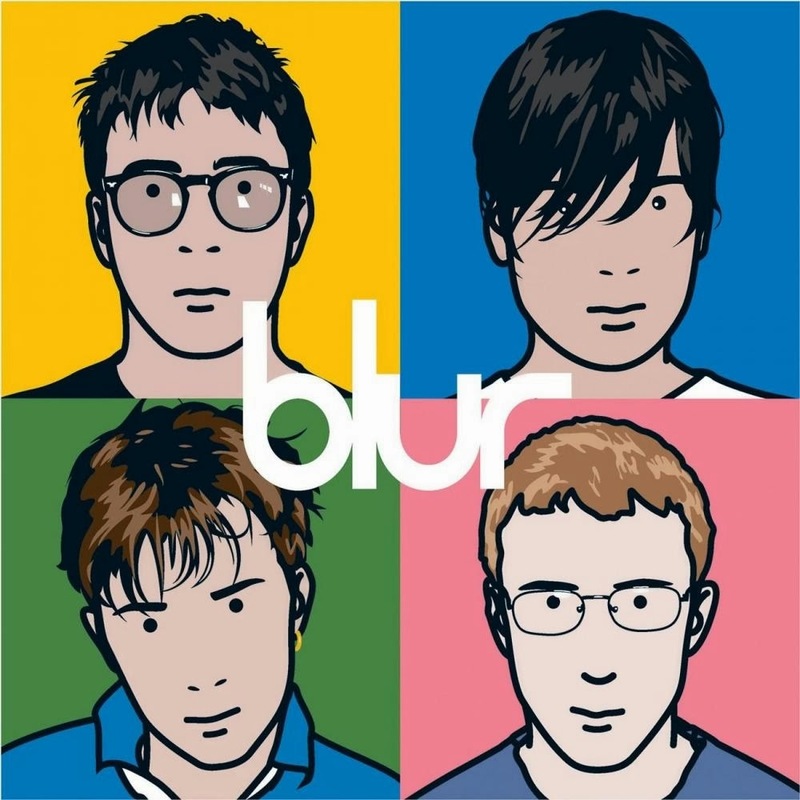 Having grown up in the 90's this album is full of nostalgic songs and I'm enjoying listening to it while writing! 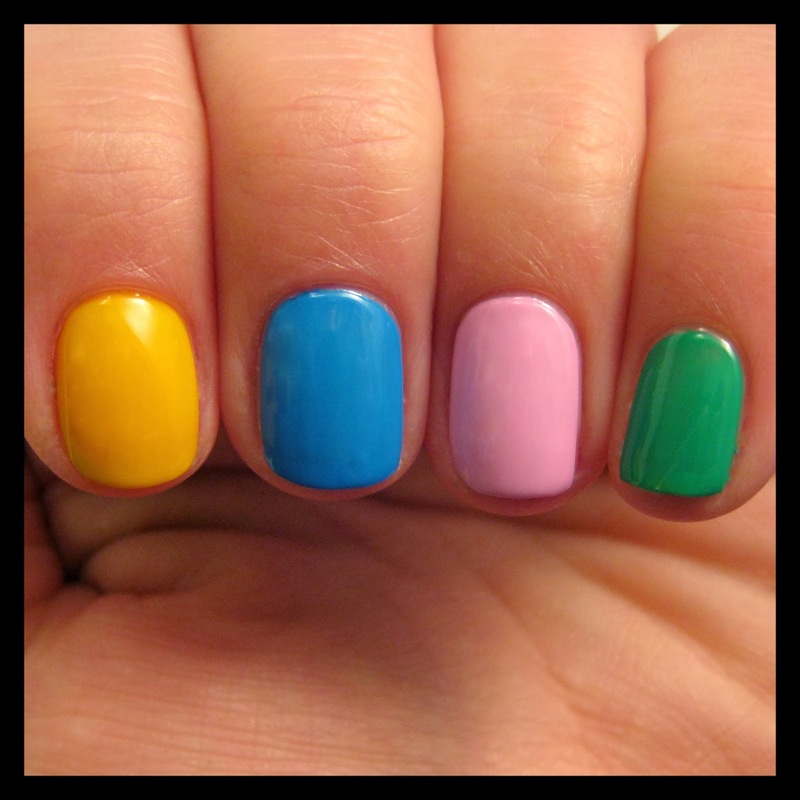 The colours I used here are (L-R): Maybelline - Electric Yellow, Barry M - Cyan Blue, Nail Art - Powder Puff Pink, Barry M - Spring Green. 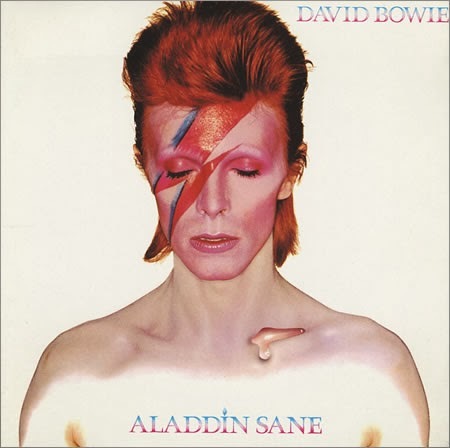 David Bowie is admittedly a little before my time, but this cover art has to be one of the most iconic out there. I chose to pull out the most recognisable feature, the lightening bolt, and use it as an accent nail. I used striping tape to outline the shape in order to get really crisp lines and sharp angles. My bolt is a little out of shape, but I wanted it to fit the nail so widened it a little. I used a pale pinky shade to reflect the skin tone in the original artwork. The colours I used here are: Models Own - Utopia, Barry M - Bright Red, Barry M - Cyan Blue. 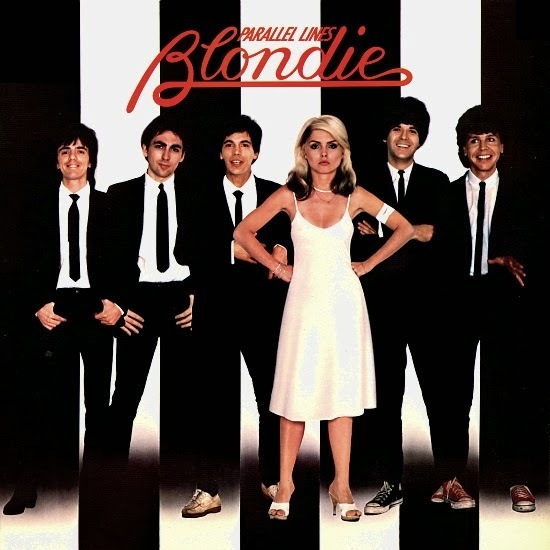 I would happily bet that most people have at least one Blondie song lurking on their iPod somewhere, I have a fair few on mine. I had to include this album in my selection as the backdrop is just perfect for a nail design! I started with a while base and painted on black lines using a striper brush. I could have used tape to get sharper lines but I didn't fancy faffing about with it. I love these monochrome stripes and they're pretty on trend at the moment! The colours I used are: Barry M - Black and Matt White. 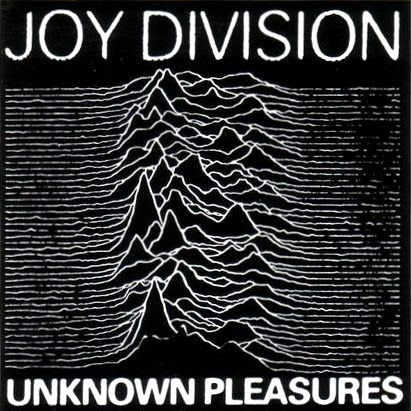 In all honesty I chose this album as I am a massive Andy Warhol fan. I fell in love with Pop Art when I was around 15 and it has inspired my creative side ever since. 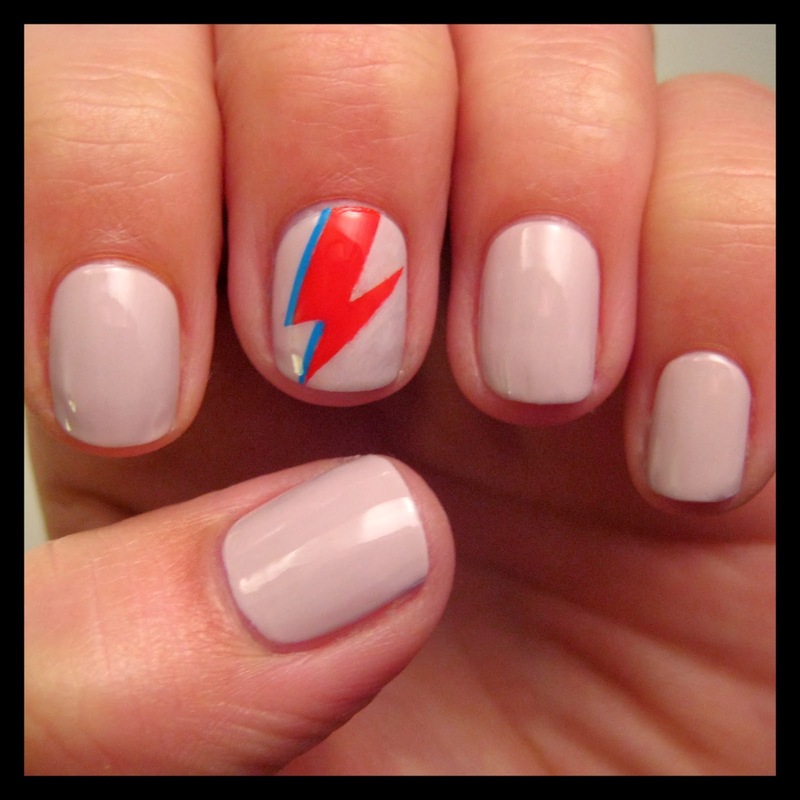 As with the Bowie design I chose to use the main feature of this cover as an accent nail. I've been wanting to try banana nails for a while and am pretty pleased with how it turned out. 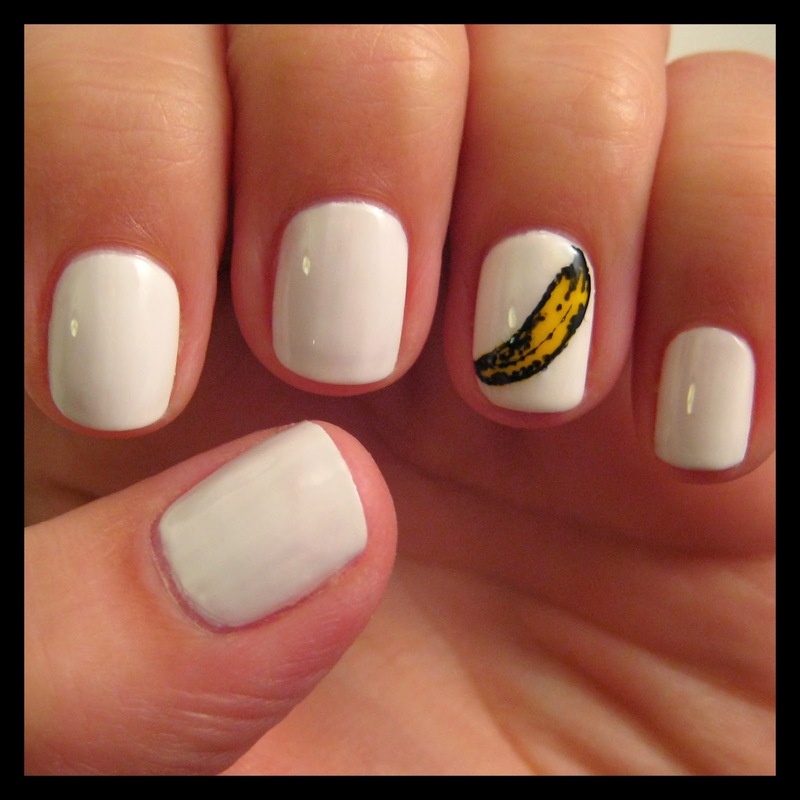 I painted on the banana shape in yellow using a small brush and then added the detailing with a black nail art pen. The colours I used are: Barry M - Matt White and Maybelline - Electric Yellow. 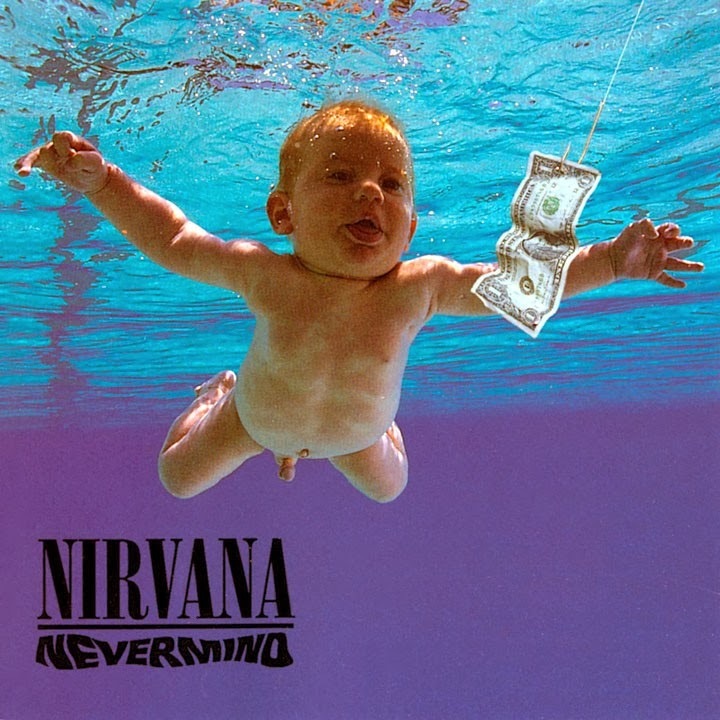 There was no way I could put together iconic album art and not include Nirvana - Nevermind. 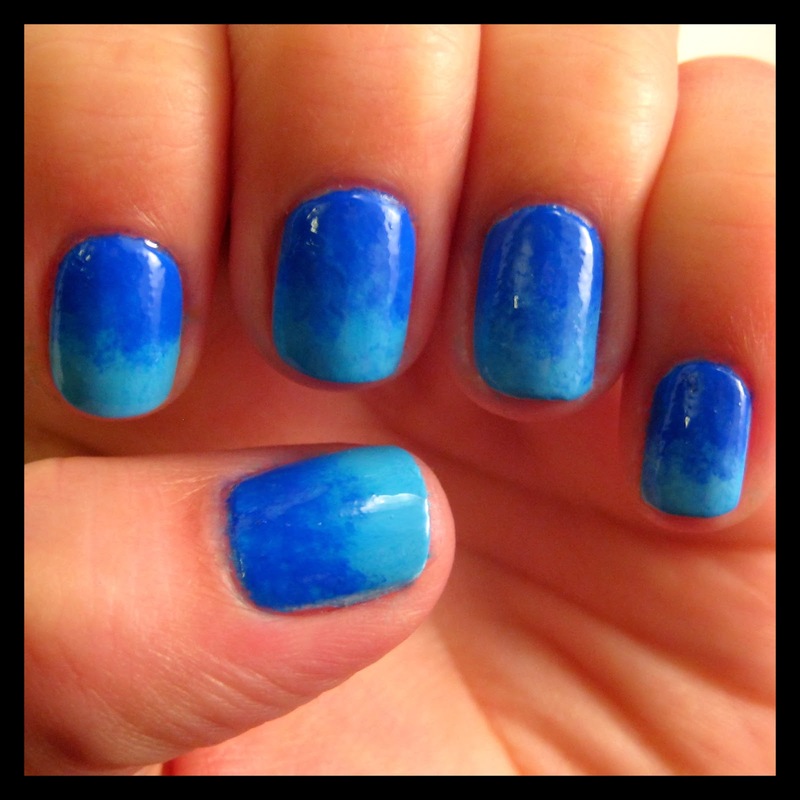 I love the colours of the water, and wasn't about to start trying to create babies in nail varnish, so I did a blue fade design. I made the fade quite messy and mixed up to reflect the illusion of water. The colours I used are: Barry M - Cyan Blue and Blueberry Ice Cream, Nails Inc - Baker Street. 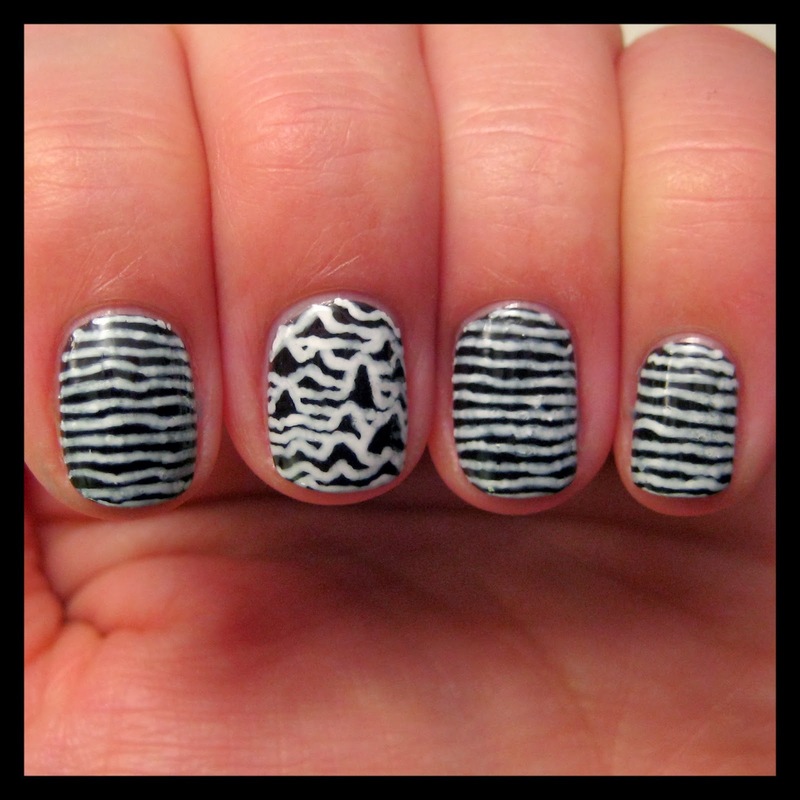 And finally, another stripey monochrome mani, this time horizontal. This was the most tricky to translate into nail art and I'm not sure that I've really done it justice. I chose to do three nails just lines and keep the alleviation to an accent nail. I like the overall look, but comparing the nails to the album artwork I can see that I haven't exaggerated the alleviation as much as I should have. I'd like to give this another go so will re-post if I get it right! I used Barry M Black and their white nail art pen. As you can see, some worked better than others, my favourites are The Velvet Underground banana and Bowie's bolt! Overall it was really fun and I'm looking for the next challenge, any suggestions?? Just for fun we've included a poll at the end of this post to see which ones you like best, please join in and choose your favourite!! I like the banana and Bowie the most as well :) Really fun idea to do this! These are fab! 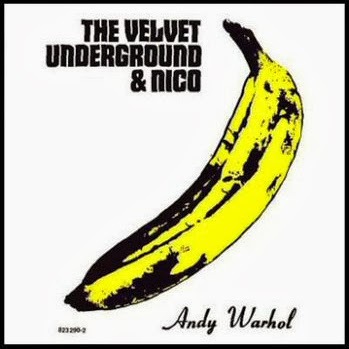 I love the Velvet Underground one - the detailing on the banana is brilliant. I did something similar looking at David Bowie costumes last year - I had a go at the Aladdin Sane bolt too! (http://monkeynailart.wordpress.com/2013/12/17/tried-this-david-bowie-sponge-marble/) I'm looking to the Awards Seasons dresses for inspiration at the moment - there are so many great colours and designs that I'm sure will translate well to nail art.